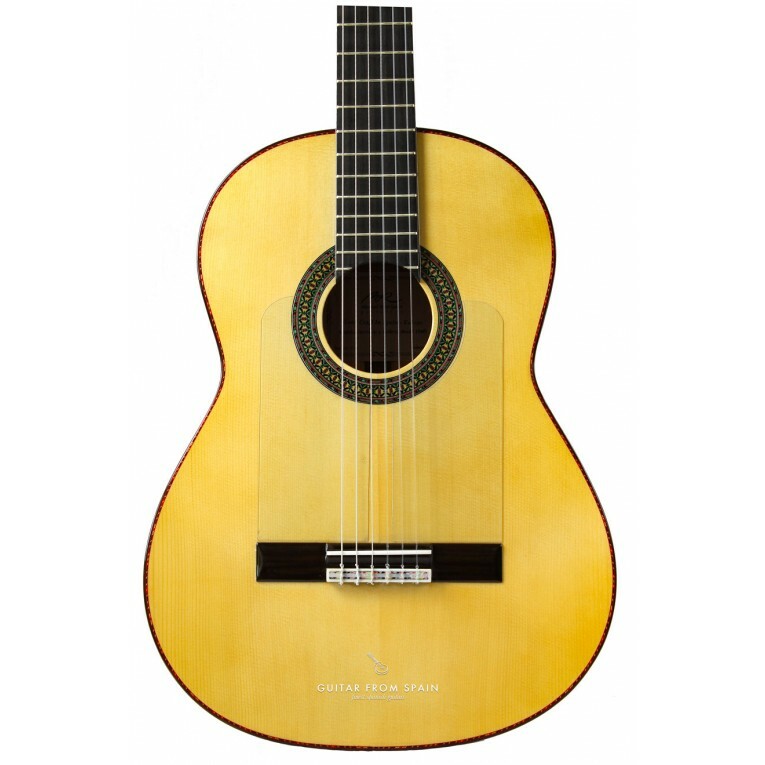 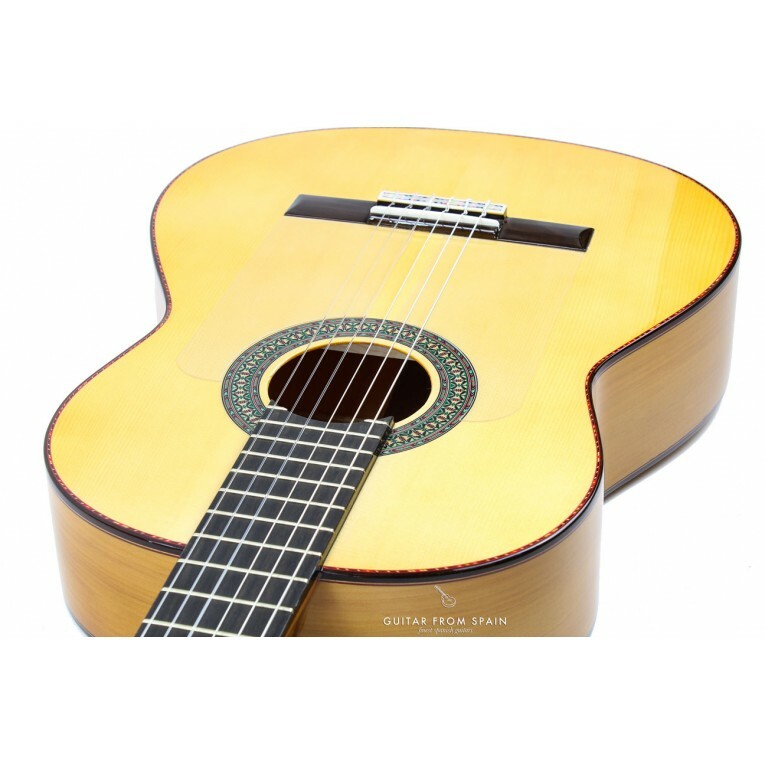 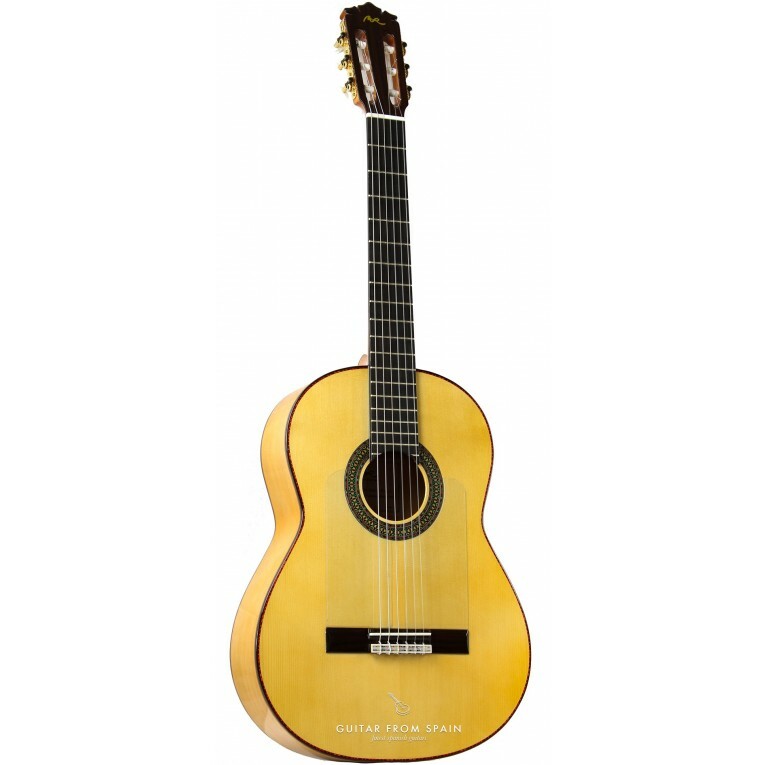 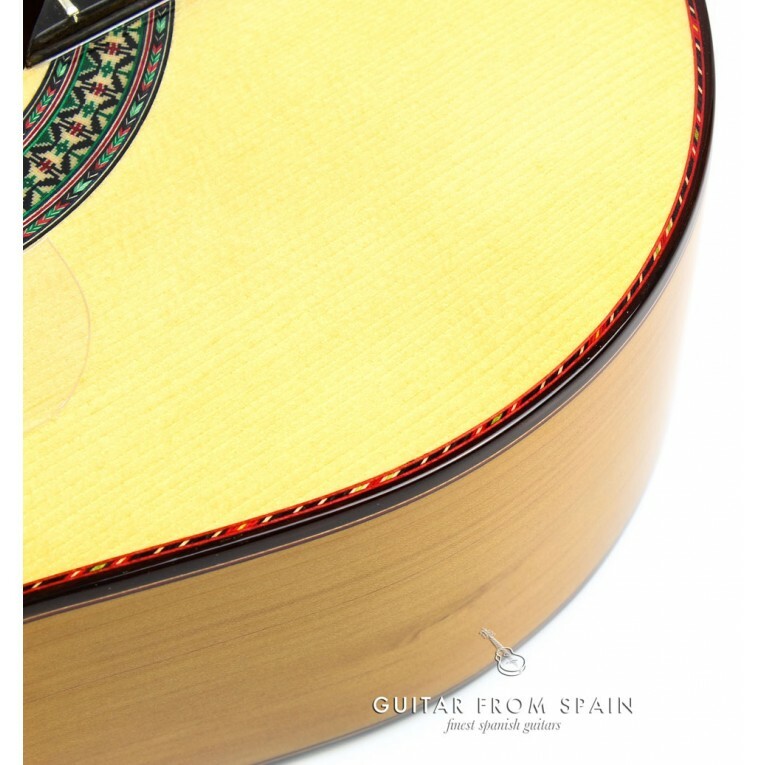 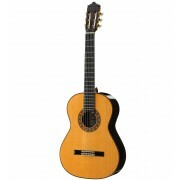 The guitar Rodriguez FF SABICAS is a beautiful all solid woods flamenco guitar for profesional musicians. 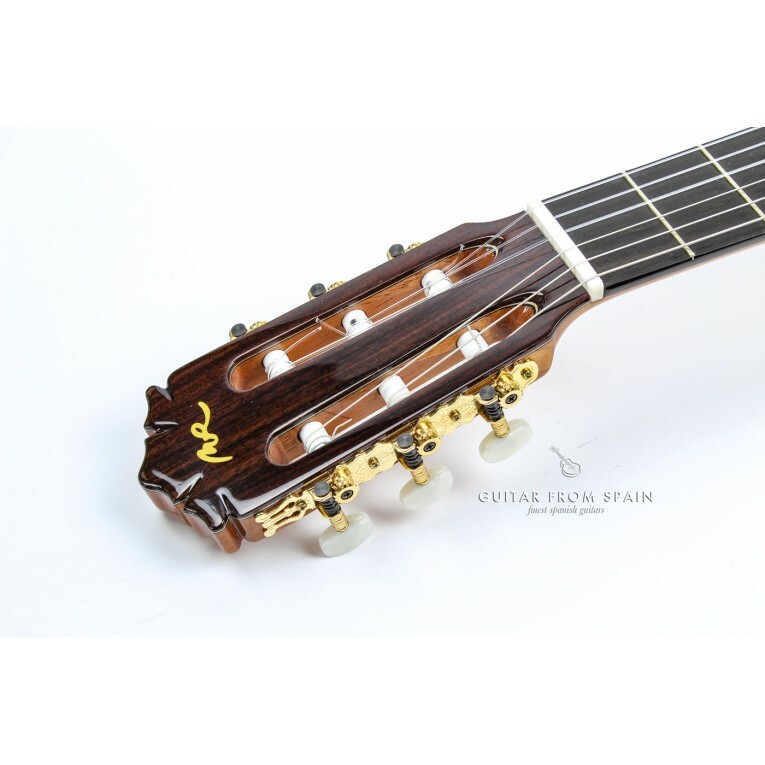 Hand made in Spain with quality woods and the best craftsmanship, this guitar catches your eyes immediately. 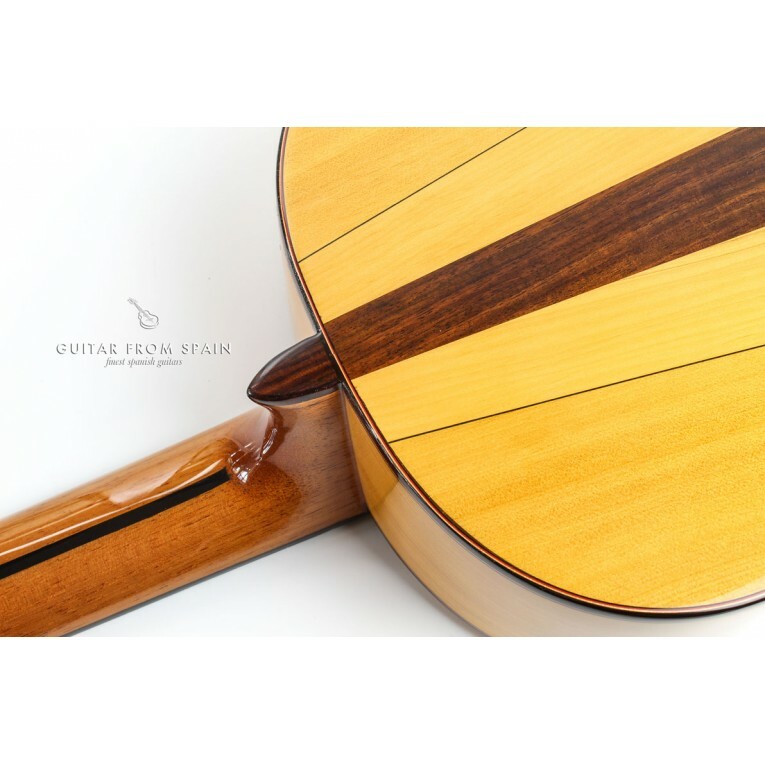 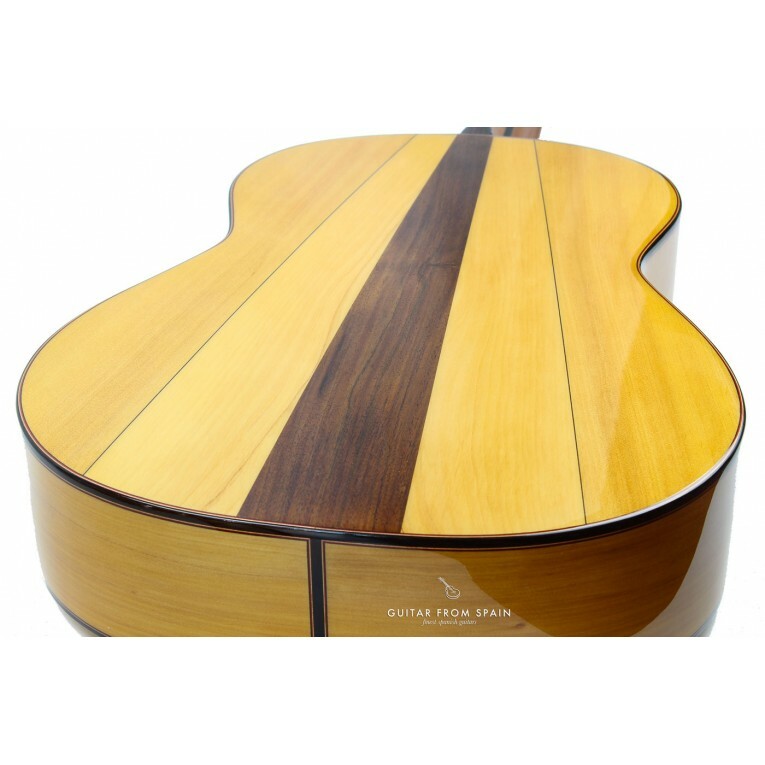 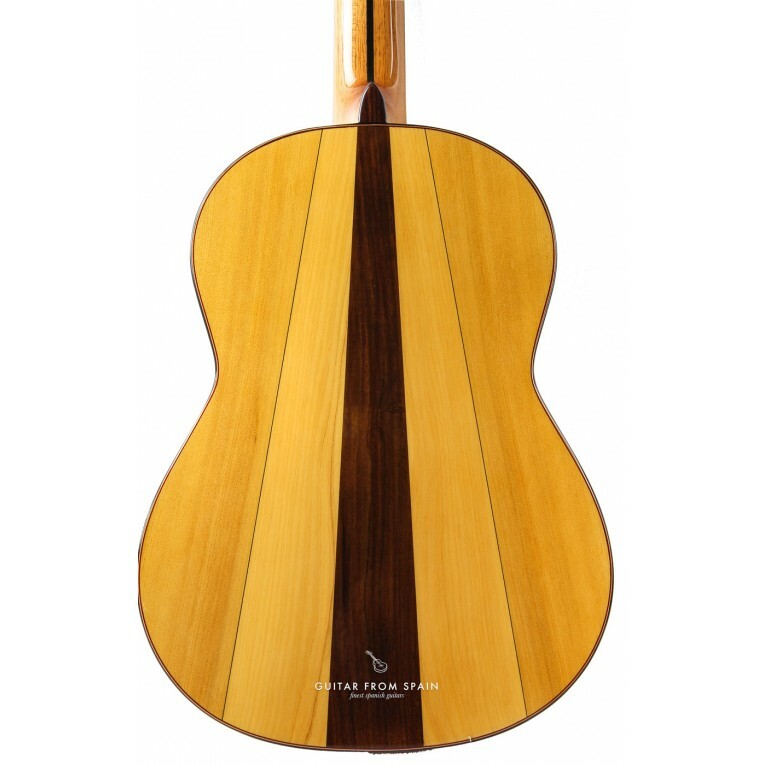 Their uniform pattern of its solid spruce top, the solid cypress body, the original back of the guitar with wood inserts and the attention to detail, make this guitar a very unique specie. 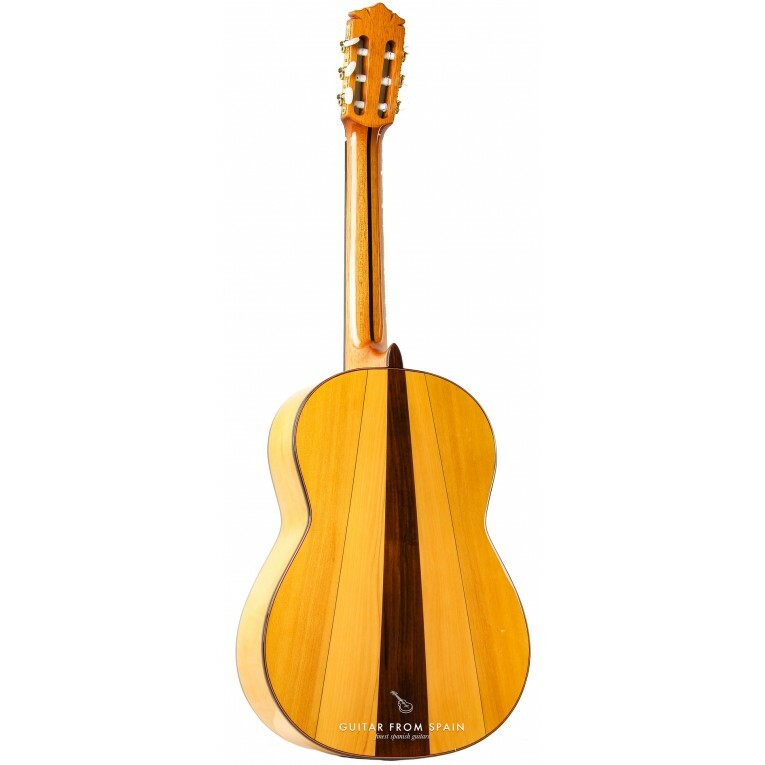 The Rodriguez FF SABICAS has a solid spruce top and solid spanish Cypress body, ebony fingerboard and guitar case included. 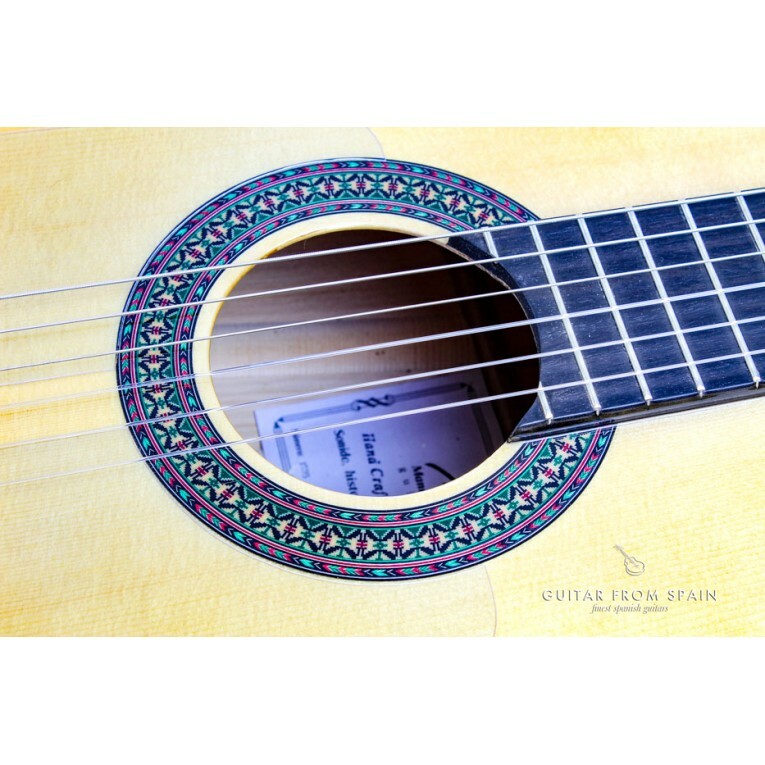 Alhambra Gitano. 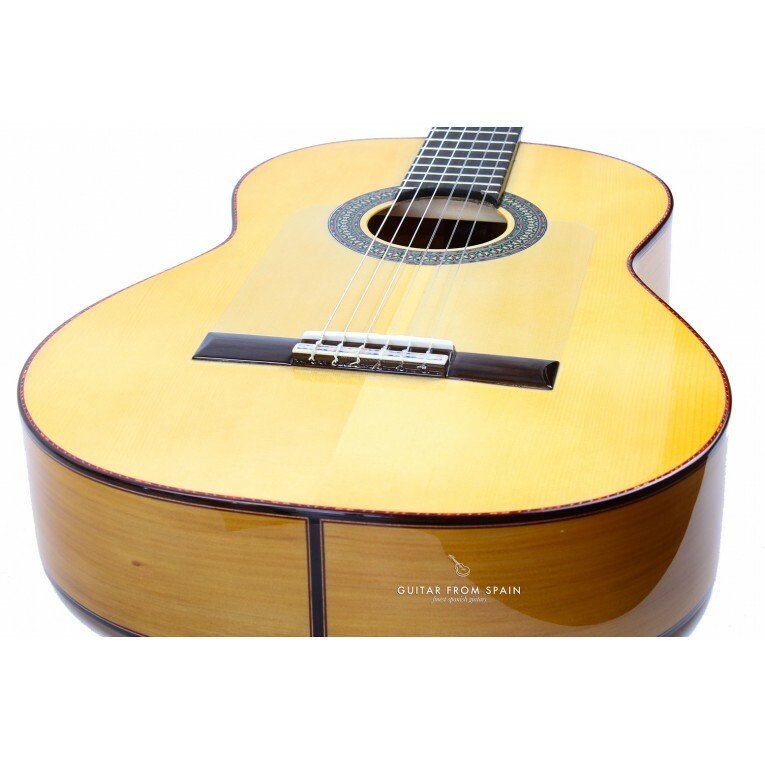 Special stand for playing classical guitar,flamenco guitar, acoustic guitar and other stringed instruments.This stand helps the guitar player to have a more ergonomic playing posture and folds down to carry it arround easily.